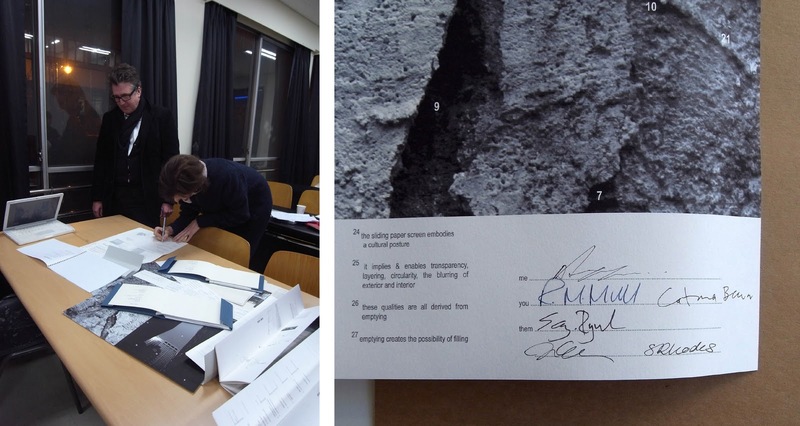 A special week: we were joined in Seoul by Robert and Catrina for the sharing and signing of contracts. This marks a pivotal moment in the Free Unit, one that ends the initial period of investigation and defines the ambition of the project in order to move into more focused territory. My contract takes the form of a visual document. 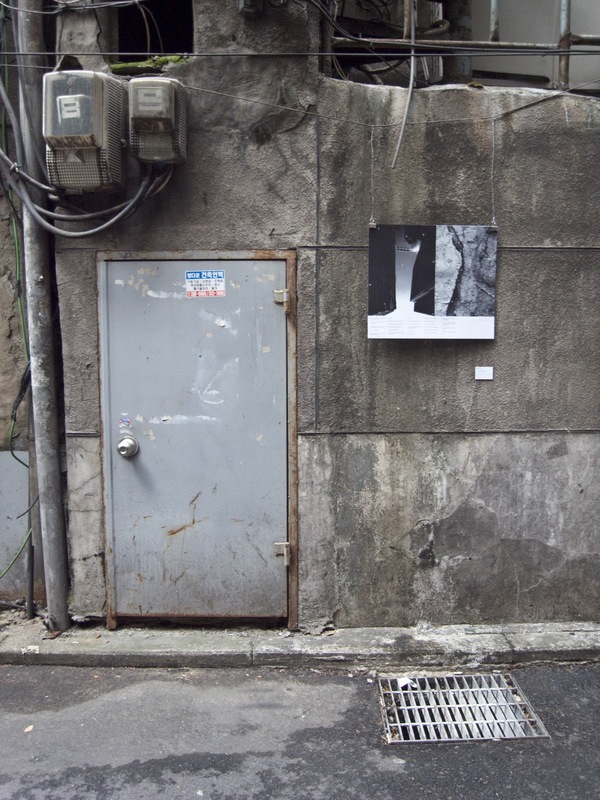 It is a discussion about voids in the city as a means of examining a specific traumatic event. 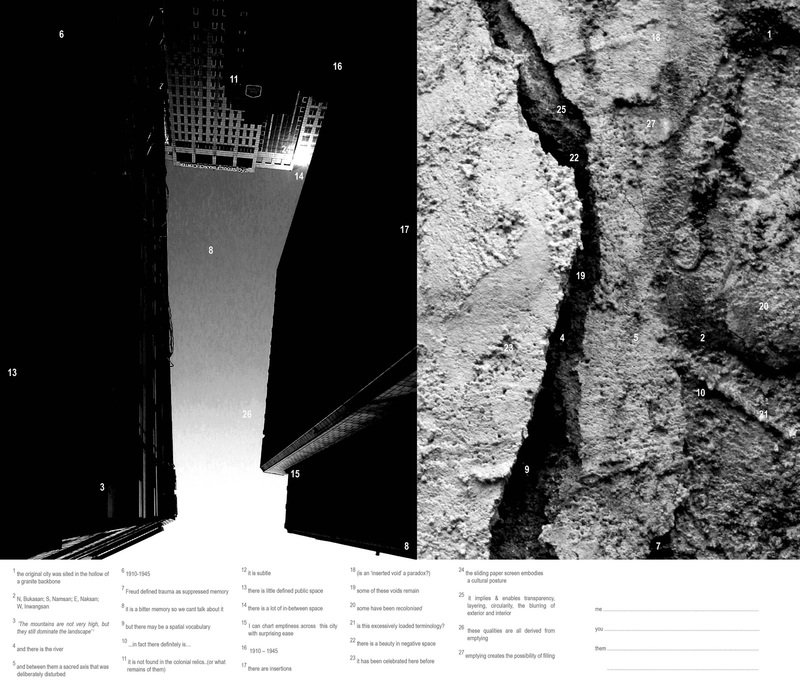 The images and text form a map of an investigation that acknowledges scale, the process of discovery and site. how should it be viewed? And where? 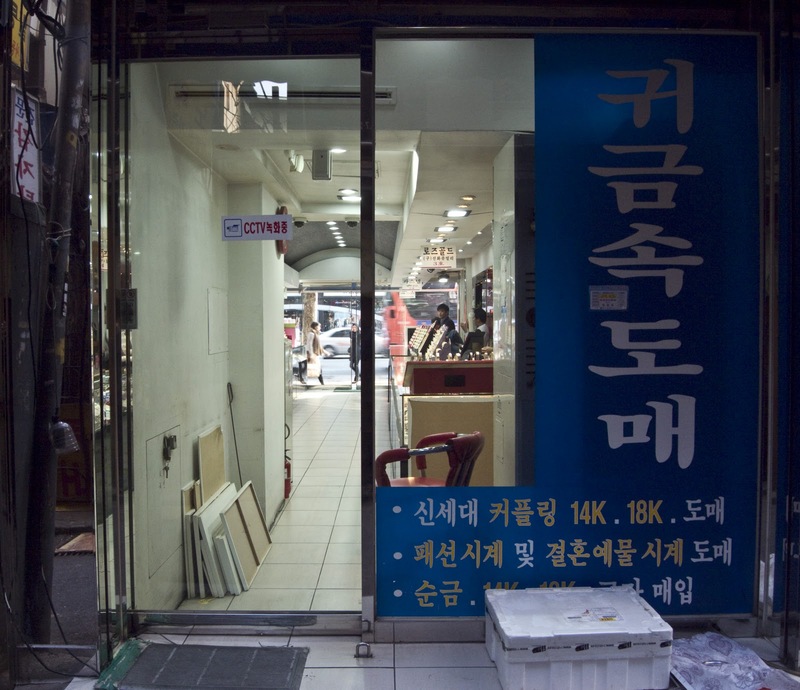 An aimless stroll along the city’s main boulevard Jongno-ro proved surprisingly rewarding. 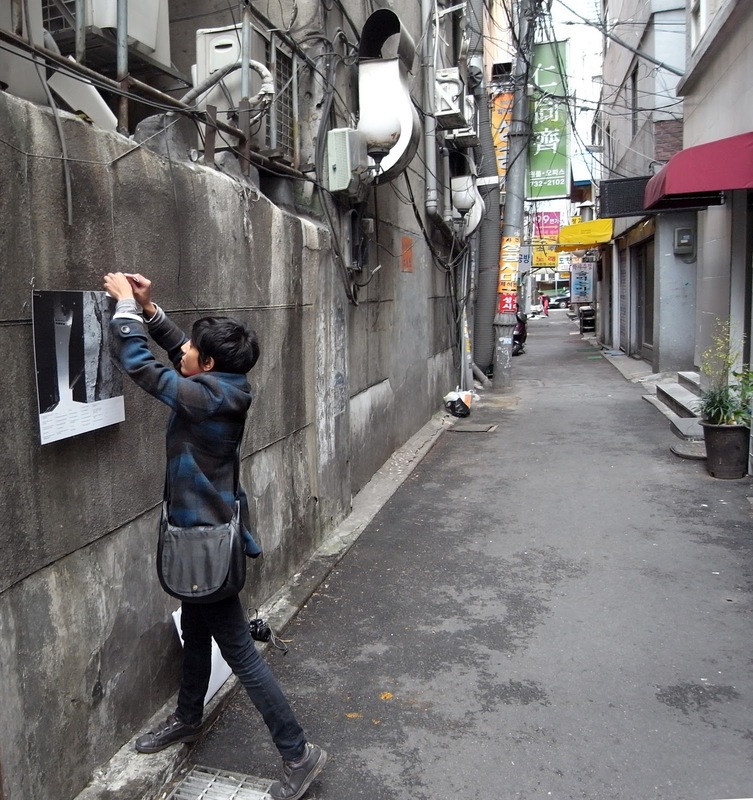 Cutting a swathe from east to west it is one of the oldest processional streets in Seoul. 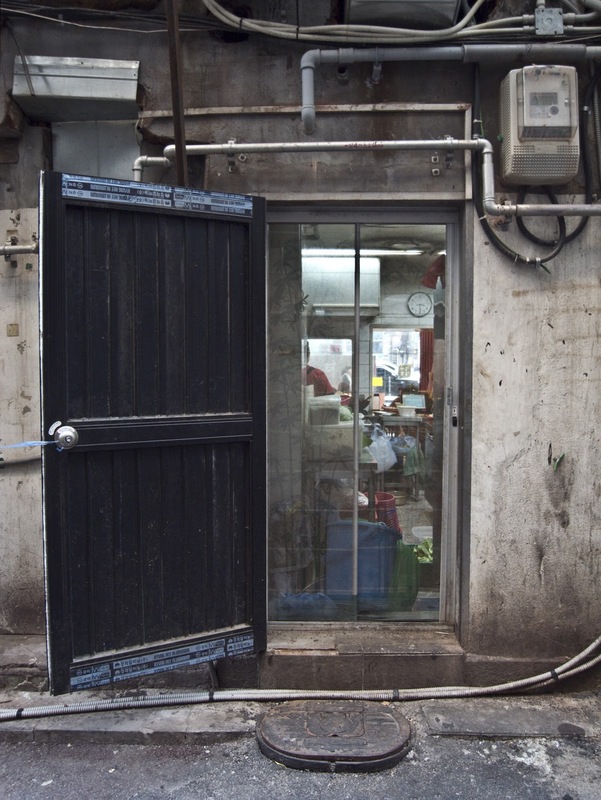 In this place it is the space between objects; the incisions in the urban fabric – one broad and one narrow - that create a narrative about the city. 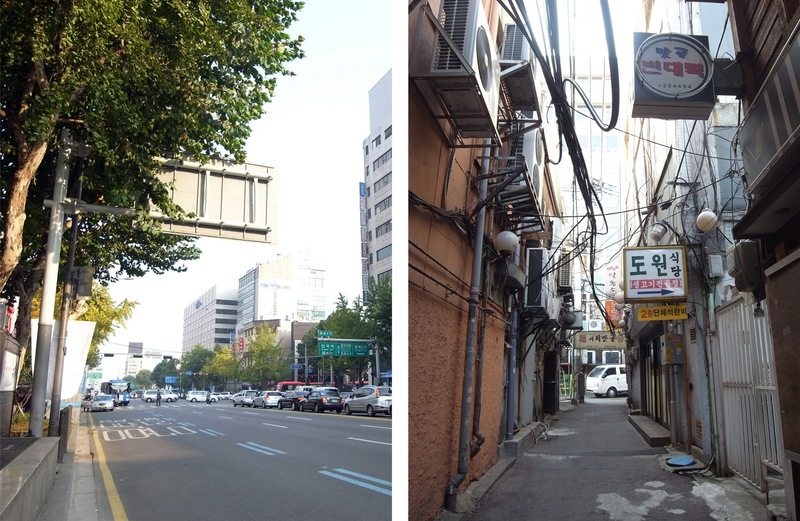 As a processional route, Jongno-ro was strictly speaking private space, the domain of royalty and dignitaries. 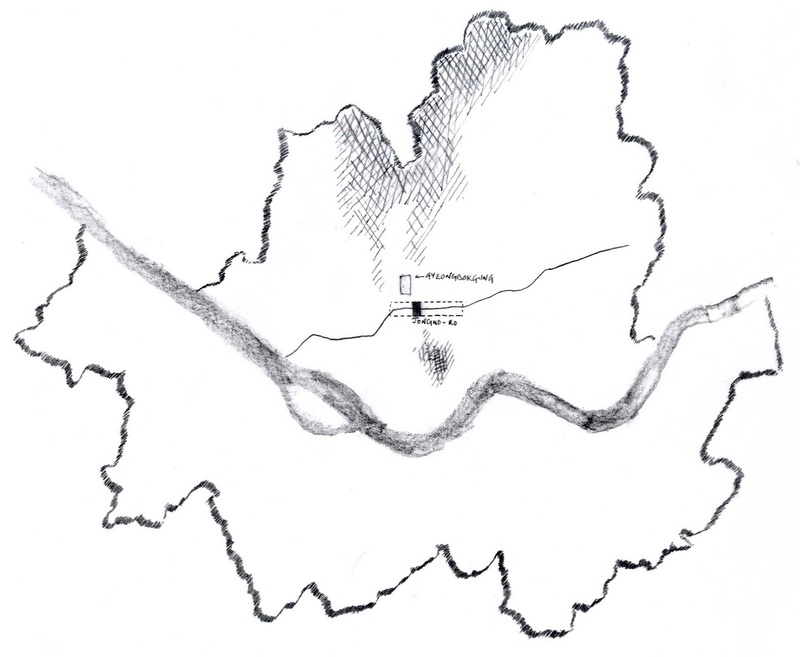 Pre-colonial maps show narrow lines bordering the length of the main street on either side. These slender counterparts enabled uninhibited circulation for everyone else. In their present incarnation, the side-streets terminate in fits and starts along the northern boundary, and have been largely erased from the southern one. 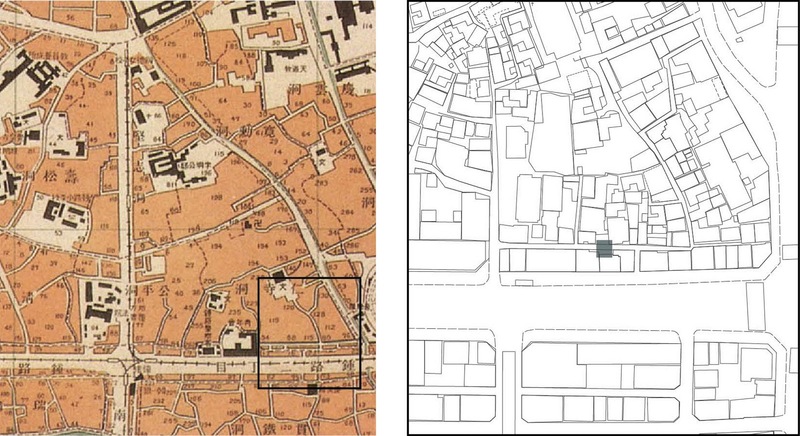 The major thoroughfare was the first to be enlarged by the occupying Japanese as part of the ‘ordering of streets’. 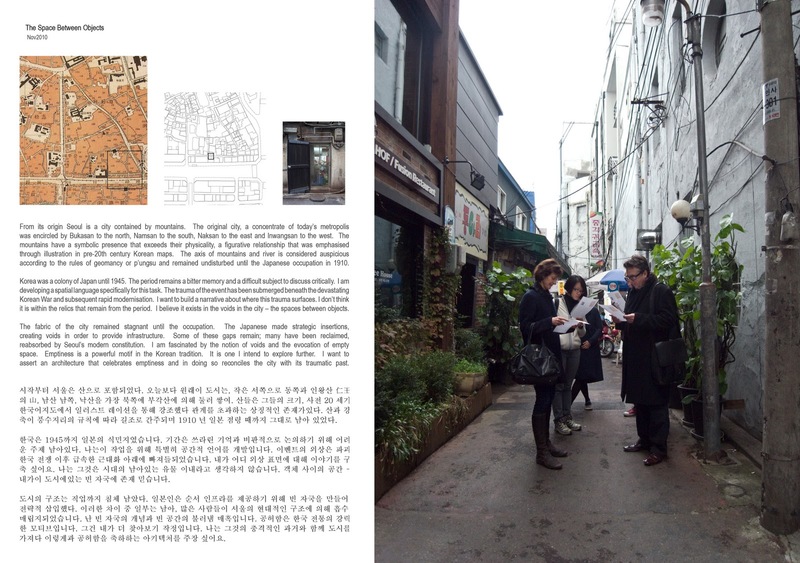 The view between the streets creates a space that connects two separate conditions; it is a gap that bridges a gap. The alley is the intermediary scale between those depicted in my contract; it is my gallery.